J.S. Bach’s Goldberg Variations have been performed and reimagined by everyone from Glenn Gould to Marina Abramović and Igor Levit. 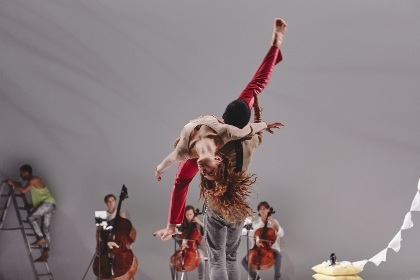 Scottish Ensemble and Andersson Dance offer a fresh take on the centuries-old composition. Not only does Bach’s music animate the dancers, it also inspires the musicians to mobilise as well.